As a homeowner, there are several basic tools which can help out will daily minor repairs and maintenance. 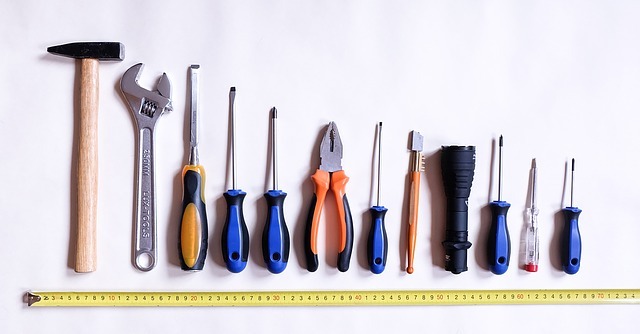 Here is some useful information on these tools and how they might be used in your home. Plunger: A clogged sink or toilet is one of the most inconvenient household problems. With a plunger on hand, you can usually get the water flowing again fast. It’s best to have two plungers: one for the sink and one for the toilet. Combination Wrench Set: One end of a combination wrench is open and the other end is a closed loop. Nuts and bolts are manufactured in standard and metric sizes, so it’s handy to have set of different sizes in both types. For the most leverage, always pull the wrench toward you. Also, avoid over-tightening. Slip-Joint Pliers: Use these to grab hold of a nail, nut, bolt, and much more. These pliers are versatile because of their jaws, which feature both flat and curved areas for gripping many things. They also have a built-in slip-joint, which allows you to quickly adjust the jaw size to suit most tasks. Adjustable Wrench: It can be somewhat awkward to use at first, but an adjustable wrench is ideal when you need wrenches of different sizes. Screw the jaws all the way closed to avoid damaging a bolt or nut. Caulking Gun: Caulking is a quick way to seal up gaps in tile, cracks in concrete, and leaks in certain types of piping. Caulking can provide thermal insulation and control water penetration. Caulk should be applied only to areas that are clean and dry. It’s best to have four screwdrivers: a small and large version of both a flathead and a Phillips-head screwdriver. Electrical screwdrivers are sometimes convenient, but they’re no substitute. Manual screwdrivers can reach into more places and they’re less likely to damage the screw. While paints and other coatings are now manufactured to be less toxic (and lead-free) than in previous decades, most still contain dangerous chemicals, which is why you should wear a mask to avoid accidentally inhaling their fumes. A mask should also be worn when working in dusty and dirty environments. Disposable masks usually come in packs of 10 and should be thrown away after use. Full and half-face respirators can be used to prevent the inhalation of very fine particles that ordinary facemasks will not stop, such as insulation fibers and sawdust. This tape is extremely strong and adaptable. Originally, it was widely used to make temporary repairs to many types of military equipment. Today, it’s one of the key items specified for home emergency kits because it’s water-resistant and extremely sticky. Duct tape now comes in a variety of colors, but remember that it’s meant to be used as a temporary fix.